Raise, lower, and precisely position materials to easily accessible heights for ergonomic handling. 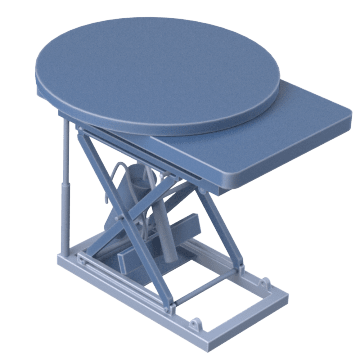 Often found in workstations, loading docks, and loading points for conveyors or machining processes, these lift tables allow you to adapt your area for maximum worker efficiency and to help increase safety. 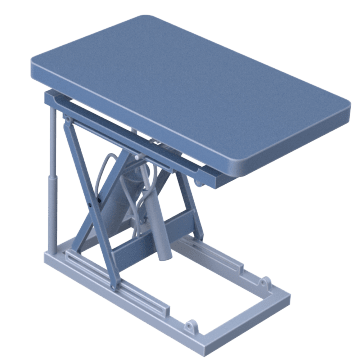 Electric-powered hydraulic pumps on these lift tables quickly position the tabletop to get materials at the exact height needed for your application. Their heavy-duty construction with pre-lubricated bushings and durable hydraulic hoses provide dependable, low-maintenance performance. With a built-in turntable these tables not only lift and lower the tabletop, but also easily spin to give employees 360° access to materials. They have an electric-powered hydraulic lift for quick raising and lowering. 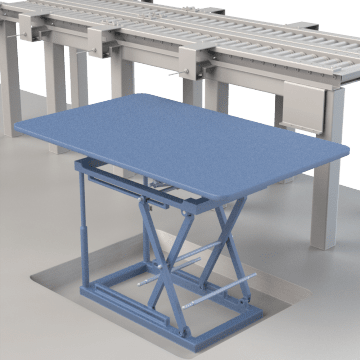 Keep materials at a comfortable working height when loading or unloading materials on or off a pallet with these tables that automatically adjust based on the weight placed on them. 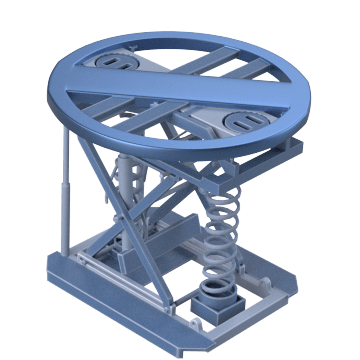 They also have a built-in turntable to spin materials for 360° access to help increase efficiency, and include forklift pockets for portability.